Your company’s backbone is its Network. Without a stable, reliable network your company can’t communicate. A lack of communication means a loss of revenue. What do you do now? 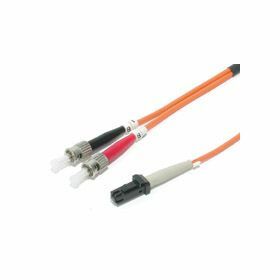 Enter the StarTech.com duplex 62.5/125 Multimode Fiber Optic patch cable assembly. 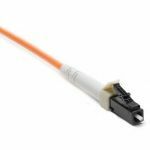 This product provides the necessary link between Fiber networking devices for high-speed, long-distance networks. 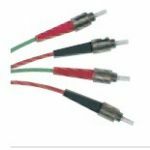 Each cable is individually tested and certified to be within acceptable optical insertion loss limits for guaranteed compatibility and 100% reliability. The same lifetime warranty that applies to all StarTech.com cables protects our customers from any problems they might encounter with our cables. - Does not carry electricity thereby avoiding the explosive consequences of a broken copper line. 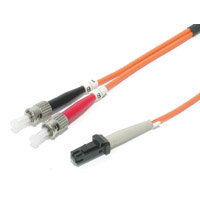 - Fiber optic cables provide a higher quality signal over a greater distance. - Fiber optic cabling can maximize wiring conduit usage while minimizing installation problems.